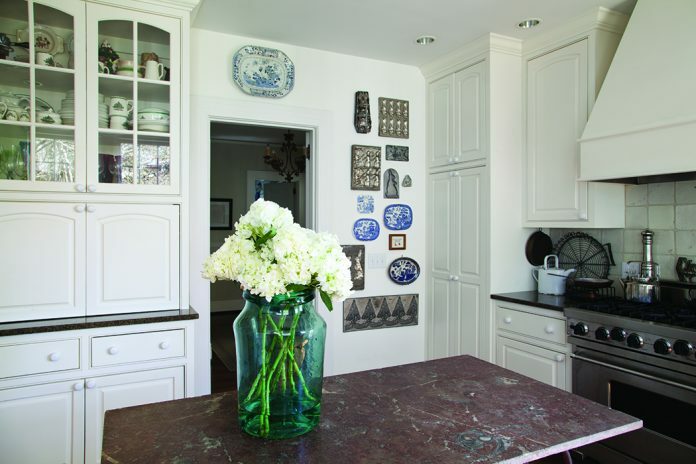 Antique candy mold collector, Carole Sullivan displays her molds as artwork over door frames and alongside cabinets in her kitchen. As a young mother of five boys, Carole looked forward to having her husband babysit on weekends while she enjoyed afternoons antiquing. Carole’s interest was piqued by the antique candy molds she would see at markets and shops, and she soon began searching them out.